My professional make up career commenced 15 years ago at Blushes hair salon in Cheltenham. 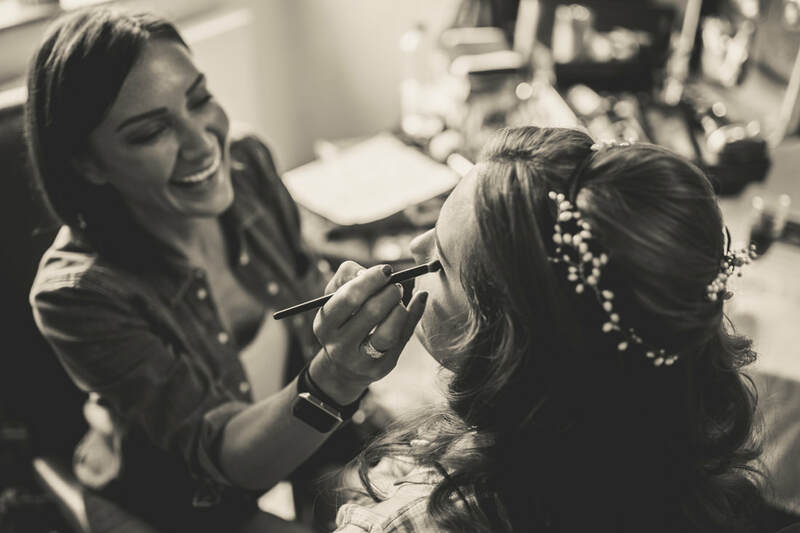 This ensured I gained vast and varied experience with clients of all ages, including make up for special occasions, weddings, make overs and lessons. I also did the make up for all their advertising, promotions, shows and competitions. I have worked for TIGI as part of the Artistic Team touring the UK and Europe and taught their make up courses at their London academy, as well as doing make up for the National TV Awards and the Clothes Show Live. ​Celebrity clients have included the multi talented Prue Leith, TV Presenter and author Jackie Kabler, Daily Telegraph Fashion Director Hilary Alexander, TV's Dr Dawn Harper, and actresses Emma Samms, Suranne Jones and Lucy Jo Hudson. I am now freelance, working closely with local salons and photographers. Based in Cheltenham, I generally cover the Cotswolds and Gloucestershire, however, I am happy to travel to any feasible destination.